An award winning commercial photographer based in Manchester England and working Internationally his work is often described as both creative and dramatic. Photographer Tim Wallace’s work spans the commercial and advertising sectors and has been at the forefront of both fields for over a decade. Based in Manchester England, Tim’s work takes him to all across the world shooting for some of the most iconic brands through his transport photography. 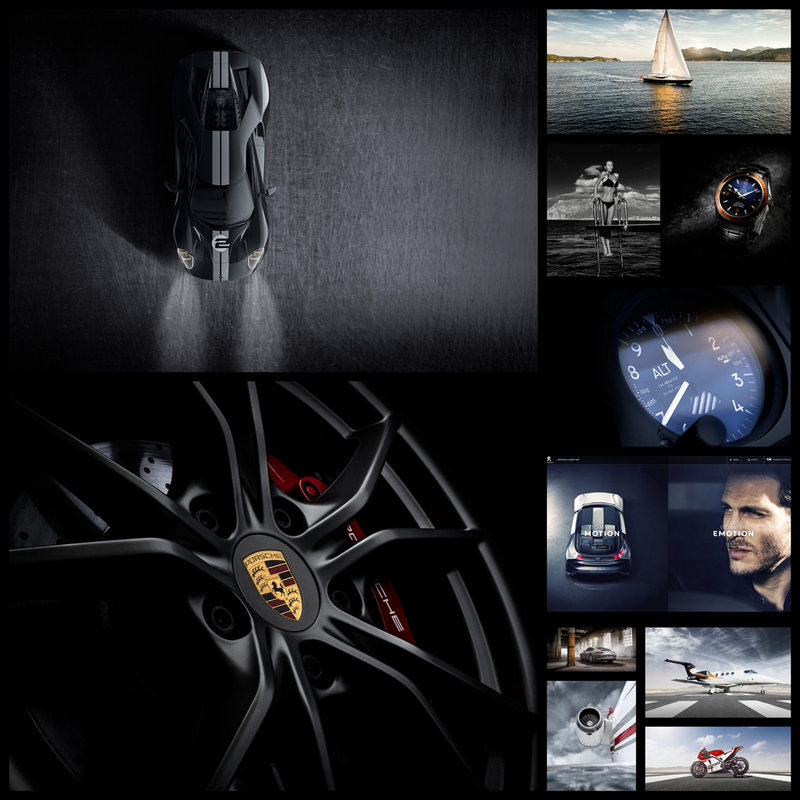 Tim works with many high clients across the globe such as McLaren, Jaguar Land Rover, Lexus, Peugeot, Mercedes and Aston as well as shooting some of the world’s most iconic brands. 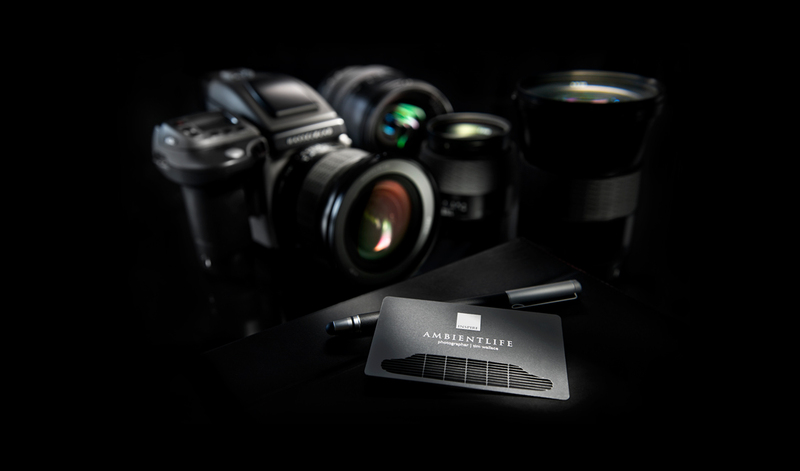 AmbientLife as a brand operates with many differing transport related sectors to provide our clients with high quality commercial image assets. Industry transport sectors such logistics photography, truck, commercial vehicle and fleet, large vehicle photography, aviation and marine work, engineering and pretty much anything transport related. 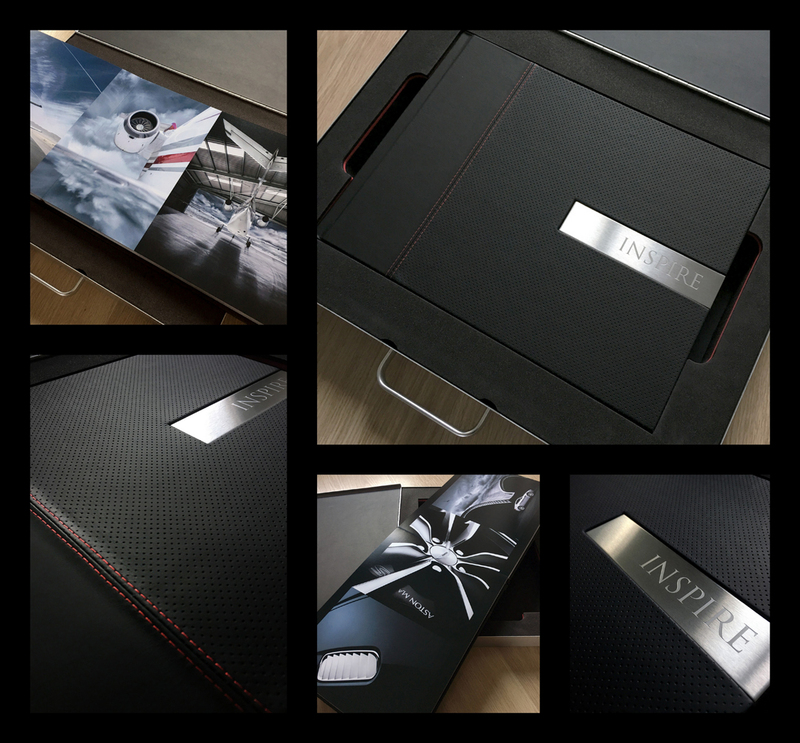 With a solid understanding of our client’s needs and experience within our sectors we operate to do the very best work possible so that we maintain our core belief that strong imagery is a valuable asset to any company and its brand. 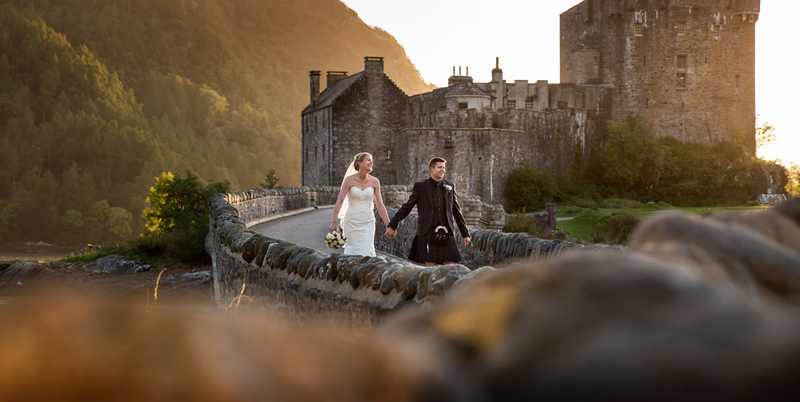 Well published he has been referred to as one of most creative photographers within his specialised field of commercial photography by some of those that we have been fortunate to work with. In the US Scott Kelby described Tim recently as one of the 10 most influential car photographers in the World today and also a man who greatly inspires others, not only within his own industry but beyond. Tim's view of all this is a little more straight forward, a man who's very well known for his down to earth attitude, his feet are very firmly on the ground. His desire to produce creative work is one that has driven him from a very young age at the point he first picked up a camera, "Photography is for me simply a creative passion, the ability to use light and form to capture in a single solitary image what I see within my own imagination at that point in time…"
Over the past decade AmbientLife have worked with a who's who of automotive royalty, from McLaren and Jaguar, to Aston Martin and beyond. 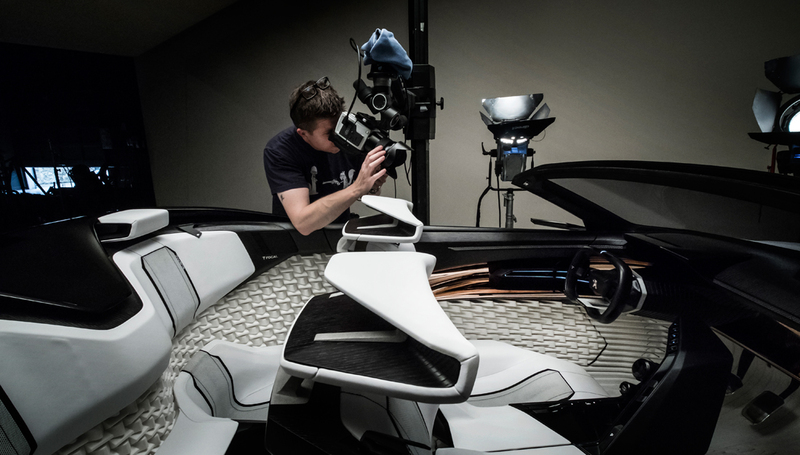 Tim's work is highly sought after, and this is driven also by his string of awards including British Commercial Advertising Photographer of the Year, and the acclaimed UK Motor Industry Car Photographer of the Year award to name but a few. His ability to capture and create shots that showcase not only a car as it appears visually but also its sheer personality and soul are much sought after and often written about when he talks to magazines and in interviews that he gives in the Europe and US. Tim -"I'm 50 but apparently 50 is the new 40 so things are always good and I have never felt better! I don't sleep much because I'm always thinking about what I can do to create something new, on a morning I often wake up excited for the day like a kid at Christmas just wanting to get out on the road and get on with it. People say I have a wicked sense of humour, wicked, twisted, something like that! I would say that you'd probably remember me if we met and that’s good in my book. I have the most amazing lady in my life, Angela, my wife, who to me is still the most beautiful woman in the world, she has always been there for me no matter what, and is totally my rock when I need the World to stop the spinning for a little while. In our house we use the term 'Team Wallace' a lot which always makes me laugh especially when our nine-year-old reminds us at the most unexpected times that "Team work makes the dream work…!" We look out for each other and we pull together through the laughs as well as the not so funny stuff. Our two amazing boys are Ben and Charlie, the latter being the youngest but he's most definitely not a push over even if he is the 'little legs' of the family. Lastly there is 'Eddie' our faithful if not slightly eccentric dog, and that makes up the gang and all that is important in my World. We work hard and we know that life is for living, I enjoy living mine and do everything I possibly can so that they can do the same"
"I love the whole creative visual voodoo, the journey from A to B and the chance of arriving at C..."
"My work is often regarded as dramatic and to me photography is a process, you'll never hear me mutter 'it'll be fine' as that's simply not enough for me. Life is short and I aim to make mine worthwhile and interesting with work that I hope reflects this. My goal in life is to be myself always, be creative, be true and most of all improve just a little part of people’s lives with images that both entertain and sometimes invoke the feelings that I had when I shot them. I've won awards and I'm always of the thought that maybe they got the wrong Tim Wallace, hey I'm grateful always but never take myself or any achievements too seriously, life's too short and people will forget you quickly." "I love the whole creative visual voodoo, the journey from A to B with the chance of arriving at C..."
"My work is often regarded as dramatic and to me photography is a process, you'll never hear me mutter 'it'll be fine' as that's simply not enough for me. Life is short and I aim to make mine worth while and interesting with work that I hope reflects this. My goal in life is to be myself always, be creative, be true and most of all improve just a little part of peoples lives with images that both entertain and sometimes invoke the feelings that I had when I shot them. I've won awards and I'm always of the thought that maybe they got the wrong Tim Wallace, hey I'm grateful always but never take myself or any achievements too seriously, life's too short and people will forget you quickly." Tim was a young boy when started his love affair with photography after spending much time in the summer holidays from school teaching himself how to process film. At the ripe age of 11 years old I met a man who worked in photography and he used to load up the camera's in the planes that patrolled airspace, I became good friends with him and he made a deal with me that if I would teach him how to print black and white better then he would supply me with as many bulk tins of film as I wanted. This was amazing for me, previous to that I had been saving and doing any odd jobs for people that I could to save up money to buy rolls of the precious stuff, now all I needed to do was beg as many empty canisters from labs as I could before they binned them. I soon had my own little production line going to load up 25ft of Ilford HP5. All of this of course was done under strictly controlled conditions, which basically meant sitting in my sisters’ wardrobe for long 2-hour sessions with a sign hanging on the door saying 'loading in progress, GO AWAY!' I would have my scissors, little straps of sticky tape and a bag of cans all ready to go. I would often come out of the wardrobe after a major 'loading session' with the resemblance of a startled mole, but it got the film loaded and that meant that I was able to shoot more and process more. All through his early years Tim spent a lot of his time both taking pictures and indulging his love for printing and developing film, in many ways it was a central part of his childhood and as he grew older he watched the world grow through his own lens. I can still remember my very first picture that I ever took, it was a scene from a roof top looking across to a dockyard across the roof tops and aerials of the houses in front of me. I shot it and was not too sure on the exposure so when I developed the film I decided to heat that up slightly and extend the development time. I remember the negative being very 'thin' (under exposed) and the grain was significant but I spent an few hours in the darkroom printing various copies at different sizes and variants and from then on, I was hooked totally. I was in love with the fact that I was able to capture the world, or at least a brief moment of it and keep that forever. Many times when I was younger I was shooting on Nikons and even today I still use Nikon camera's in my commercial work alongside my Hasselblad medium format digital, back then my trusty Nikon F was without a light meter that worked so I used to have to guess the exposure on many occasions, this taught me to appreciate the changes in light and how that impacts not only on a scene from an exposure point of view but also how that mixture of exposure and light intensity from the direction of the light in relation to the camera can impact so greatly on the contrast and tonality of a image captured. It was not long before I was really trying to teach myself who i could mix the light properties in the everyday world with techniques I was discovering with the development stage of the film process. The possibilities seemed endless and it was then I think that I started to gain an understanding of light and how we can use this to create the images that we aim for in our minds when shooting. A very famous picture editor from years ago once told me two things, you are only as good as your last photograph, and if you see the perfect moment through the lens then you have probably missed it because the mirror is down! Watch what is going on around you, learn to adapt to what is happening and know your camera like it was a part of you so that you can do whatever you need to with the controls without really taking your mind off the 'moment'. Over the years I have not only kept all the camera's that I have shot on but also actively searched for camera's that both inspire me and that fascinate me. Sometimes these have been camera's that as a younger man I aspired to shoot, camera's that have 'experienced' life, that have seen things in their own lifetime and have some history to their very presence in this world, such as a particular old and weathered Nikon F2's that served time with a correspondent in war torn areas of the world. 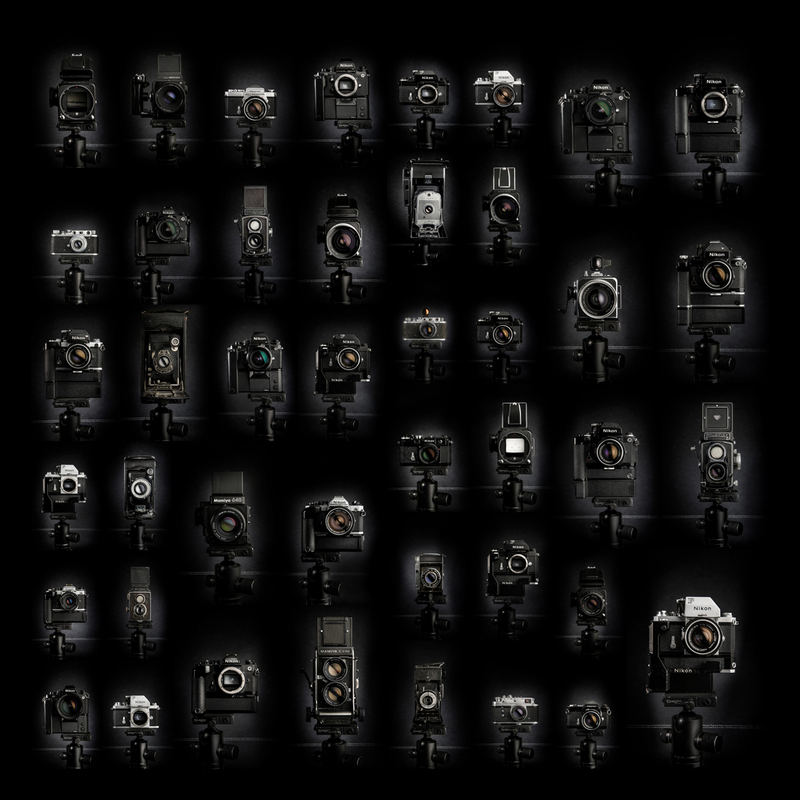 For me these hold a fascination in themselves in that they were the very tools used to show the world some of the most important images of that time in our history. It is for me an honour and a privilege to be able to take these and restore them back to full use and once again breathe live back into them by shooting film through then once more. Photography for me a journey rather than a destination and my love of film affair with film will carry on for the rest of my life along with my passion for some of the iconic camera's that act as the gateways between that we see in front of us and what we capture with the light through our lens. For many years my personal statement towards photography has always been that 'out there shooting is where things happen', and this will always be how I view my life, my future, the world, and how I can represent my view of that world through my lens. At 16 Tim started work in the darkrooms of the Daily Mail Group for The Western Morning News newspaper in Plymouth where he learned the art of printing and had a baptism of fire into the world of photojournalism, working with many great photographers from both the National Press and agencies. He soon took over the darkrooms there and became the youngest Darkroom Manager in the Daily Mail Northcliffe Group. Later Tim he joined a freelance agency, and went on to spend an increasing amount of my time behind the camera. His slightly 'different' approach to shooting and his understanding of tone and contrast giving him a potentially different outlook on a scene, mixing this with a more 'contemporary' style to his work, he soon found favour with the UK National Press, having work published in the Guardian, Independent and Times. He went into partnership with a south west mainstream agency and continued building on his successes whilst exploring other area's such as public relations and corporate photography with many large UK company contracts. During that time Tim joined 131 Commando where he learned some very valuable life skills in how to push hard for those things in life that you want to achieve, if you have the belief that you can do something then you are half way there in your mind and that is the best starting point for any challenge in life. His time in the south west of England however came to an end as recession gripped the UK and most of the newspapers and mainstream magazines that he had been doing regular work for started to move away from utilising freelance photographers and started keeping the work in-house as much as possible. It was a difficult time in the industry for agencies and freelance photographers all chasing work. Tim moved back towards his original roots, to the North of England, where he made the choice to follow a more corporate route and change his career, working with blue chip media companies such as Orange where he worked in the Network Operations Division. A few years later he moved onto work with NTL who then were bought out and moved under the umbrella of Virgin Media where he took the role of Operations Manager in charge of their department looking after the Vigin UK data network. He pursued this career for several years and remained devoted to photography but enjoyed that only at a personal level. In 2006 following a company wide restructure Tim's network department and all 110 staff were put on notice of redundancy pending a relocation of the centre to Liverpool. It was at this point that Tim decided to pursue his passion in photography and make the leap to create and launch Ambient Life to transport his vision forward. I worked very hard and remained focused on my goals, often working 18 hours a day to build my contacts, home my skills, and train myself to meet the now growing 'digital' side of photography. In many ways I started and built my business my own way, not following on from others but taking my business forward my own way, choosing and walking my own path you could say, this is something that has always been very strong in me, to find my own route in life and follow my heart even when it appears to be a path that is less walked by others." Over the recent years Ambient Life has continued to go from strength to strength. Over recent years Tim has travelled around the world talking about his work and helping others to learn photography techniques and lighting. These classes have done extraordinarily well and today he speaks not only about his methods in business and working hard to create a successful business but his own personal beliefs in life and what drives him to always push that little bit further, endeavouring constantly to create something fresh and new within his own industry. AmbientLife has seen a very healthy growth in new clients, which we believe is testament to the quality of the work that we produce with virtually all our commissions being generated through referral and reputation, something that we feel is very important. We are lucky enough to work with some amazing people within the advertising industry and have been very fortunate to have taken part in some great projects over the last few years, it is always great to push the creative boundaries, look for new approaches and never be scared to try and look at a project or feature through new eyes as others may see it to allow you the opportunity to break away from the main stream and create something that hopefully becomes very memorable for both your clients and their own customers.